tuesday, april 26 - 2016Contact: dmh@natzweiler-struthof.com Contents of this site are COpyright © DIana Mara Henry. NO reproduction without written permission. What do Middle School students say about André? 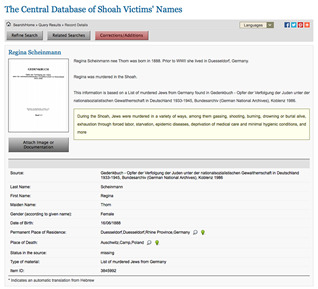 Call Me André has been purchased by Juedisches Museum, Muenchen; the Wiener LIbrary, London; and are in the collections of the Mémorial de la Shoah and Yad Vashem in digital form as well as at the Centre de la Résistance et de la Déportation at Natzweiler, at Beit Lohamei HaGhetaot and the Musée de la Résistance et de la Déportation at Besançon; the US Holocaust Memorial Museum has set up a collection of documents about André. Bibliography, on request, and sample chapter, on request. Diana Mara Henry devoted her creative and professional life to documenting socio-political phenomena and causes: politics. the women’s movement, and one-room schools and school teachers have all previously been the subject of her award-winning journalism in the media of photography and writing. She has been the recipient of grants from the NY State Council on the Arts and the NY Foundation for the Arts, and of the Ferguson History Prize at Harvard College. André and Diana worked together for three years before his death in 2001 to create the final version of his memoirs which are now available through this website. •Sir Brooks Richards: Secret Flottillas, Vol 1: Clandestine Sea Operations to Brittany 1940-1944. "The passengers had arrived on after another at the Le Tac villa...Peulevé [sic] an intelligence agent of Austrian Jewish origin who had been working as a radio operator in Rennes in a BCRA intelligence network known as 'Georges France 31'..." ( page 115) "Three weeks later, on the night of 1/2 February, they went back....This time there were only three passengers, the Le Tac brothers and Peulevé [sic. This is the spelling of another British agent's name, Henri Leonard Thomas Peulevé .] It was a bright, moonlit night. They embarked Yves and Peulevé in one Folboat, Joêl went with the luggage and Peulevé's new suitcase in the other.....But disaster was awaiting:de Kergolay had been arrested during their absence in England. Peulevé was also arrested on arrival in Rennes...." ( page 116) This is listed as OVERCLOUD operation for SOE ( Special Operations Executive-the Le Tacs served in its RF section) whereas on page 314 "Peulevé AKA 'Le Neveu'" ( André's alias) is listed as part of TURQUOISE - an SIS (Secret Intelligence Service) operation. In his mémoir André states how, upon landing, he declined Colonel Passy's invitation to join the French and insisted on continuing to work for the British SIS. 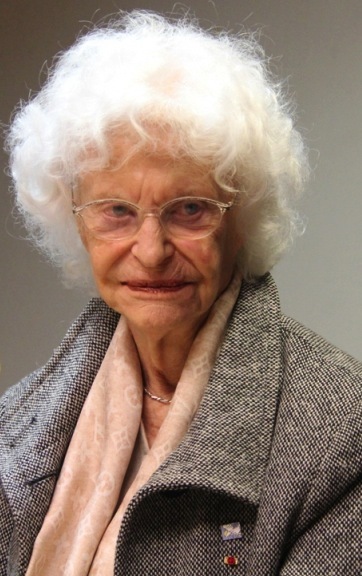 • Chombart de Lauwe, Marie-Jo. Toute une vie de résistance. ["A whole life of resistance"] Paris: Graphein, 1998. The preface recounts that her mother's intelligence gathering network, "La Bande à Sidonie" was absorbed into the network "31 Georges France" and what she did for it (André) and how it ended with their arrests, but mentions no names. The rest of the book recounts her experience of the prisons of Angers, la Santé, Fresnes, then Ravensbrück and Mauthausen. Also see her warm and detailed memories in correspondence with André, here. • Amicale Action. Livre d'Or de L'Amicale Action. Paris: O.R.I.,1953. Full name of the association: "Association Amicale d'Entr'aide des Anciens Officiers Chargés de Missions-Action et de leurs Collaborateurs recrutés en France." Peulevey is mentioned in the Liste Générale Alphabétique and in the Liste par Départements, Seine-et-Oise: "André Peulevey, 102, Boulevard des États-Unis, Le Vésinet." • Huguen, Roger. Par les nuits les plus longues: Réseaux d'évasion d'aviateurs en Bretagne 1940-1944[" During the longest nights: escape networks for airmen in Brittany 1940-1944"] Rennes: Ouest-France, 1986 References to André as Le Neveu and Peulevé and his network Réseau Georges France 31 on pages 38-39 and index. • Maradène, Georges. 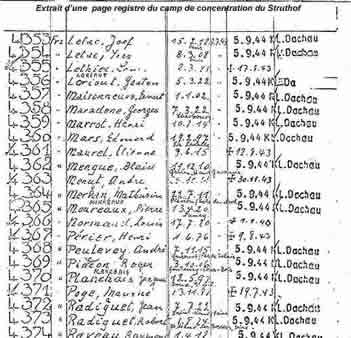 Réponses à un questionnaire: La vie dans les camps de Natzweiler- Struthof et Dachau. ["Answers to a survey: Life in the camps of Natzweiler-Struthof and Dachau"] Dions, 1995. Unpublished. 162 pages. About André on page 23: "To be noted, too, that the prisoner serving as our interpreter, who arrived with us on July 9  was a German Jew living in France, member of the Intelligent [sic] Service. The Germans would never know. He was liberated I think from Dachau and lives in the US." Boston Neighborhood Network,"It's All About Arts,"
André's wife, Claire: at the time of their meeting in London, 1942, she worked in the RA,F, most notably in Operation Corona. 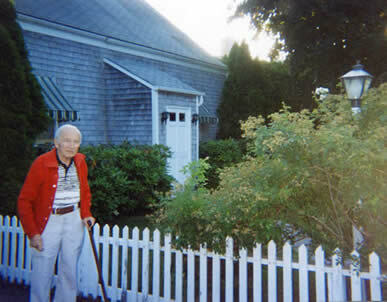 André at home in Padanaram Village, MA, 1998.
,André's obituary tribute and memories of Yvonne Le Tac from whose house and with whose sons he left for England and back January6-February 1, 1942, that was published in Gens de la Lune (People of the Moon) February 1958. 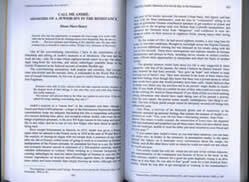 Translated by Diana Mara Henry from the article shown at right. Barely two months ago, our friends Joël, Yves and Roger Le Tac brought their mama to her final home. Many comrades of the Association [Gens de La Lune / People of the Moon in whose issue of February ‘58 this tribute by André was published] attended the moving ceremony. 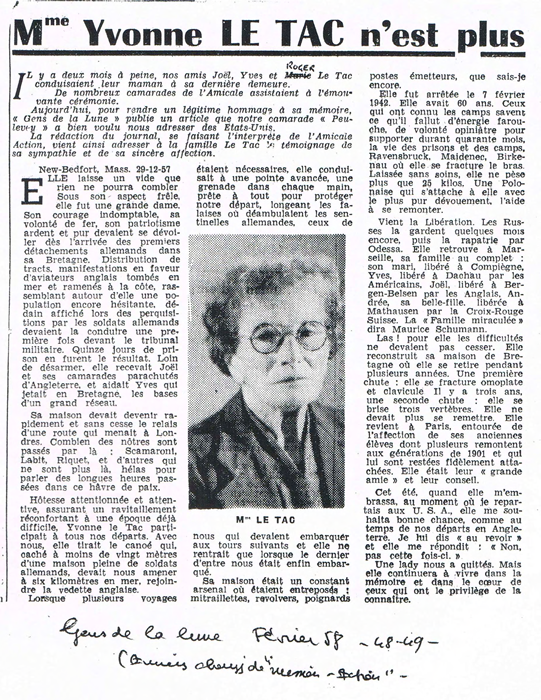 Today, to render legitimate homage to her memory, “Gens de La Lune” is publishing an article that our comrade “Peulevey” graciously sent us from the United States. The editors of this journal, on behalf of the Amicale (Association) Action, is taking this means to send expression of our sympathies and sincere affection to the Le Tac family. She leaves a vacuum that nothing will be able to fill. Beneath her fragile exterior, she was a great lady. Her untamable courage, her iron will, her burning, pure patriotism would appear as soon as the first German detachments arrived in her Brittany. Distributing flyers, demonstrating on behalf of English aviators fallen to the water and brought back to the coast, gathering around her people who were still hesitating, proclaiming her disdain during looting by German soldiers brought her for a first time before a military court. Fifteen days in jail were the result. Rather than disarm, she went on to shelter Joél and his comrades as they returned by parachute from England and would help Yves as he cast into Britain the links of a great network. A sensitive and attentive hostess, she made sure to have comforting food available at a time when scarcity was already a problem. Yvonne le Tac was a participant in all our departures. She pulled the canoe hidden less than twenty yards from a house full of German soldiers, that was to bring us six kilometers out to sea to connect with the English speedboat. When several trips were necessary, she would lead those who were next to leave to a far point, a grenade in each hand, ready for everything in order to protect our departure, pacing the cliffs where German sentinels prowled, and would not return home until the last of us had at last embarked. Her house was an arsenal where were always stored submachine guns, revolvers, daggers, radio transmitters, and who knows what else. She was arrested on February 7, 1942. She was 60 years old. 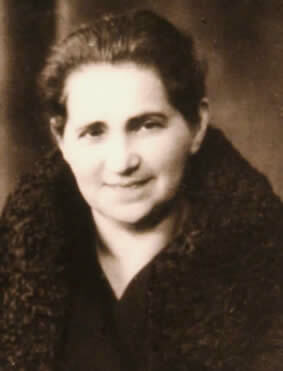 Those who knew the camps how what ferocious energy, what a stubborn will to survive for forty months the life of prisons and camps: Ravensbruck, Maidenec, Birkenau, where she broke her arm. Left untreated, she weighed only 25 kilos [55 pounds]. A Polish woman becomes attached to her, and with the purest devotion, helps her survive. Comes the Liberation. The Russians kept her for a few months more, then send her home via Odessa. She finds her whole family in Marseille: her husband, liberated at Compiègne, Yves, liberated at Dachau by the Americans, Joël, liberated at Bergen-Belsen by the English, Andrée, her daughter-in-law, liberated at Mauthausen by the Red Cross. “The Miracle Family” Maurice Schumann called it. Alas! For her, the problems would not cease. She rebuilds her home in Brittany where she retires for a few years. In a first fall, she fractures shoulderblade and collarbone, Three years ago, in another fall, she breaks three vertebrae. She wouldn’t recover. She comes back to Paris, surrounded by the affection of her former students many of whom go back to the class of 1901 and have remained faithfully devoted. She was their “great friend” and advisor. A lady has left us. 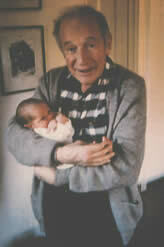 But she will continue to live in memory and in the heart of those who had the privilege to know her. 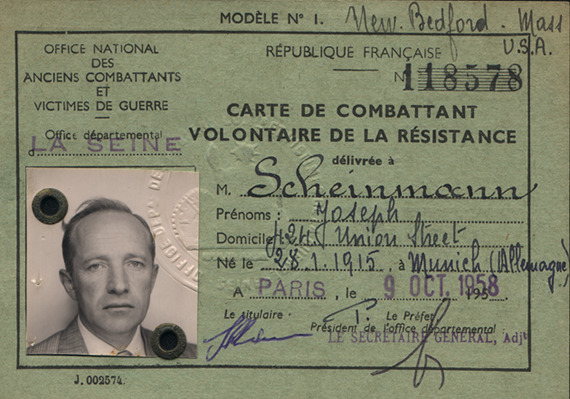 Joseph Scheinmann, aka "André Peulevey"
Before becoming André, Joseph Scheinmann was a teenager when his family sought refuge from Germany in France in 1933. He had been a leader of Jewish youth in Germany before leaving: he organized sports camps and tutoring for his peers when they were excluded from school activities, and militated against their having to participate in Hitler rallies. 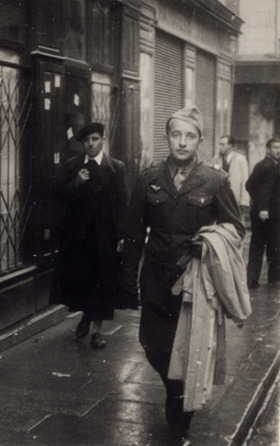 André was a soldier for France, for the three weeks France fought Hitler; when he enlisted, in 1939, the French army assigned him a dead man’s name and identity, that of André Peulevey. He escaped from prisoner of war camp and went to work for the railroad, immediately sniffing out Turban, his boss, for a British spy and joining his network as second-in-command. Taking cover for his flawless German by enrolling as a graduate student at the University of Rennes and as would-be professor of German, he served as an interpreter for the Nazis and obligingly translated for the SS in Brittany when they toured their military bases, ports, fuel depots, and submarine facilities. Thanks to him, the British knew what to expect of bombing raids originating at the Rennes airport, off-limits to the French, but where André had placed a Polish cook who reported to him. He got a shave every morning at the barber shop where the Nazi pilots unwound and talked about their missions; he demanded and received strategic reports by placing phone calls to Germany through the telephone system set up by the Nazis at their railroad headquarters. His reports were radioed and couriered to London for months, allowing the British to bomb and destroy the facilities he'd identified with great accuracy. In January, 1942, he was brought to London, overnight across the English channel, for additional training. While he was there, his network was infiltrated: three weeks later, as soon as he went back to work, he was caught. Days of and nights of torture, months of prison, the most vicious of the concentration camps, Natzweiler-Struthof: a dreary and dismal fate, illuminated by his bravado, courage and pride. At Gestapo headquarters in Paris, he insisted on coffee, toast and jam, a typewriter and quiet if he was to type his report on conditions in London. He passed messages in and out of jail in slices of omelet. He grew healthy on a starvation diet while in solitary confinement, because other prisoners sent him food down the air vents. He never talked - except to say he had gone to London to look up an old girlfriend. When the most feared “Rottenführer” (SS corporal) at Natzweiler asked him if his teammates always worked so hard he said:“Of course not, only when you are here!” And this Ehrmanntraut, master of the dogs, this sadist extraordinaire, addressed him with formality and respect. 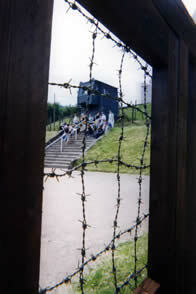 Dachau seemed easy by comparison, and that was where he was liberated by the Americans on April 19, 1945. He ran to embrace a soldier - her helmet fell off, her blond hair fell to her shoulders, and he found himself hugging a famous female photographer, Lee Miller. 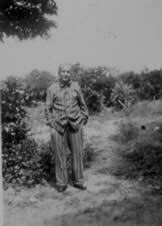 That was the last of the good memories -- he soon found out his parents had given up hope when he was taken, let themselves be captured, and died in Auschwitz. But André met Claire at the US embassy in Paris. 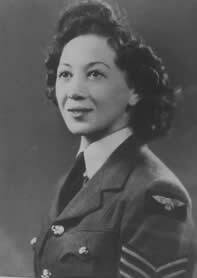 She had had a brilliant career in radio operations for the RAF Intelligence during the war. They married, resettled in the US and started a family. Here now is his story: CALL ME ANDRE. 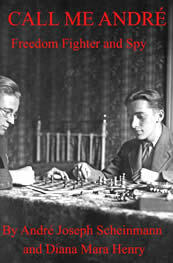 In this memoir of his scandalously daring exploits as a spy for the British from the director’s office of the French National Railroads for Brittany, André Peulevey, the name by which the Jewish German ex-pat Joseph Scheinmann was known, details others’ and his own sacrifice and heroism -- documented in eye-witness accounts --- that saved many lives and inflicted savage damage on the Nazis and their collaborators. Then punished under the “Nacht und Nebel” (Night and Fog) decree, André and his comrades continued to fight from inside Gestapo prisons in Paris and at Natzweiler-Struthof, the only Nazi Konzentrationslager on French soil, dedicated to the punishment, exploitation and elimination of political prisoners from two dozen European countries, and the gassing of Gypsies and Jews. My Story Begins: A time of foreboding as relentless change polarizes German youth in the 1930’s and propels André from leadership to exile. A New Homeland: Life in France looks good: business, tennis and romance flourish. Fighting for France: André seeks out other soldiers who want to fight, only to be asked by townspeople to stop. 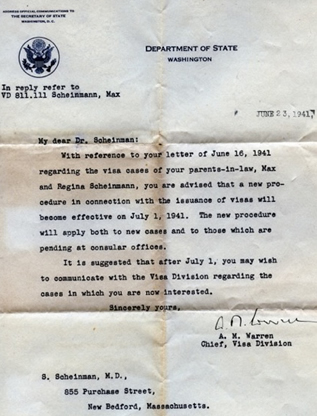 By wiles and forgery, he avoids being taken to Germany as a prisoner of war. Spy for the British: Hired as a German translator at French National Railroad (SNCF) headquarters, André discovers his boss Louis Turban (Service Historiques de la Défense - service administratifs de résistants # GR16P 580117 and GR16P 580 118) is organizing a sabotage, intelligence, and escape network. André monitors German strategies and losses in the bombing of Britain, German troop and materiel shipments, u-boat bases, submarines caches and the port of Brest, reporting it all to the British through the Réseau 31, Georges France, Johnny and Overcloud networks. His handler is Thomas Greene, known as "Uncle Tom'" and Peulevey is known as "Le Neveu." By Night to London: While André is spirited across the channel in kayak by moonlight, for training and outfitting, his network is broken and their radio operator reveals his bosses’ identity under torture. Prisoner of the Gestapo: By bravado decision, André deliberately falls “into the mousetrap.” He has his torturers disciplined and fools his Gestapo interrogators into giving him a cushy writing assigment before his eventual “trial,” death sentence, and 18 months (including 11 in solitary) in prison, where the resistance continues. 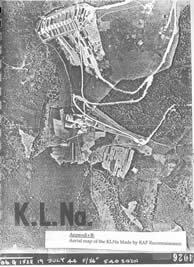 “NN” at Natzweiler: “Nacht Und Nebel” is decreed to make political prisoners disappear into “Night and Fog” like a character in Hitler’s favorite Wagner opera (Das Rhinegold), and Natzweiler-Struthof in Alsace is the camp that the "NN" are taken to for the ultimate punishment. André interprets the language and reality of their taskmasters’ terror and mayhem, organizes his fellow Frenchmen during their terrible ordeal, making sure they understand German orders, negotiating with the ruling class of Communist prisoners, imposing discipline and glavanizing morale. Four Episodes: André leaves the hospital barracks just ahead of the “work detail ascending to heaven,” is assigned to the weaving shop, where he reorganizes the workers and reduces production by 30%, produces a play, and becomes a KAPO (prisoner boss.) “Do they work like this when I am not around?” asks the murderous Rottenführer Ehrmanntraut. “Of course not!” André snaps back. They took seven months and never finished the curve in the road. 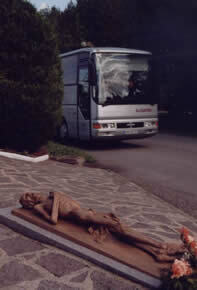 Dachau, Allach, Dachau: Natzweiler-Struthof is evacuated ahead of the Allied invasion (the first concentration camp to be discovered). 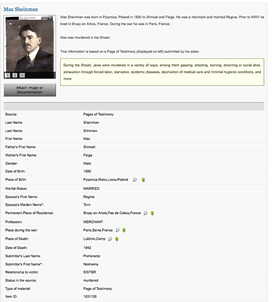 André is sent to Dachau, its slave labor camp of Allach --- where he produces another surreptitious theatrical , this one on the theme of “France and its Provinces in Song” ---and back to Dachau, where he pulls a still live man from a pile of bodies being carted off to cremation and is himself cured of typhus. Freedom and Loss: Liberation from Dachau is followed by death caused by overeating for many; but André and his friends hitch a ride with American GI’s back toward Paris where he settles up with the British underground and French army paymasters, and is tragically aware that his parents will not return from Auschwitz. His romance with Claire, a translator he met in England, is miraculously reignited and the happiest years of life still lie ahead. The Concentration Camp Universe: “Why could so many people be kept under control by so few?” “How could one survive a camp?” André faces the hard questions and shares his observations about how the prisoners were played against each other; which classes of prisoner rose to the top; why status in the outside world was not a benefit in the camps; why terror works; what character traits, past history, and goals helped prisoners to survive and how he himself was able to resist a loss of dignity and not abuse his fellow prisoners. •The order of October, 1942, transferring Jews from all concentration camps to Auschwitz or Lublin (Treblinka). Here is a tribute by André to one of his operatives, published in the journal of the "People of the Moon", who came in and out of England to France by moonlight. Translation of the article follows. Please email us for advance orders! Who Betrayed André ? Who Betrayed the Le Tacs? In these photos, made by British intelligence when André was secretly brought over to England from France in the second year of World War II, André was given several disguises-in case he was picked up by the Nazis for questioning. 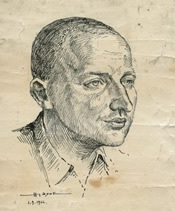 André sent copies of these photos back to his sister Mady in the US and thus we have a record of the kind and clairvoyant face with which he surmounted incredible obstacles in the course of spying on the Germans and eventually surviving three concentration camps, Natzweiler-Struthof, Allach and Dachau. 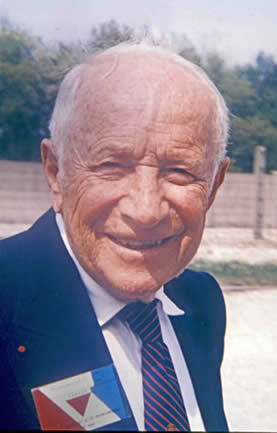 aka André Peulevey (Born 7/11/1915 in "Gucourt"
contacted "Jonny", another intelligence network. Established contact with the Free French "Overcloud" network. head of British Intelligence's French section. was assigned a personal radio operator. prisoner # 4368 NN ("Nacht und Nebel"). ....As a precaution, he set a policy of meeting only the heads of the organizations working with him. That’s how he got to know the “boss” of the railroads at Rennes, André Peulevay, the man in charge of FER 1. On the first of February, Joel and Yves Le Tac board the MGB submarine chasing vessel. 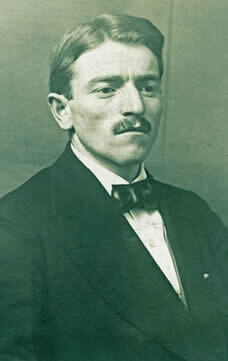 André Peulevay, the head of the railroad network in Rennes, the Intelligence Service network which Joel was collaborating with, accompanied them in the crossing that returned them to the coast of Brittany. He’s got a brand new radio. Each has a great deal to do in the weeks to come. 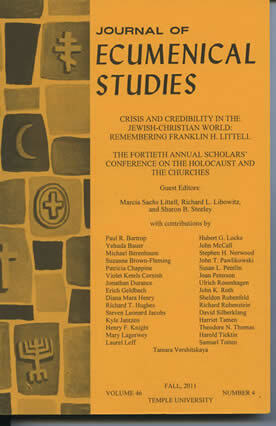 André Peulevay of course heads straight back to Rennes...."
Diana Mara Henry's presentation of Call ME André from the 40th Annual Sholars' Conference on the Holocaust and the Churches at St. Joseph's University, 201, in the Journal of Ecumenical Studies. Email us for a copy, please.